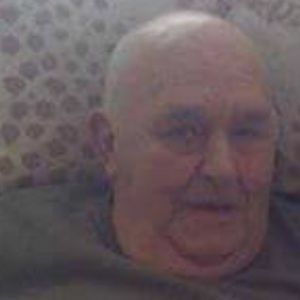 CENTRAL CITY – George Henry Whitaker, 77, of Central City, died Wednesday, December 17, 2015, at 3:22AM at Owensboro Health Regional Hospital, with his family by his side. Mr. Whitaker was born March 14, 1938, in Muhlenberg County. He was a security guard at Muhlenberg Community Hospital and a member of Leigh's Chapel General Baptist Church. He was preceded in death by his father, James R. Whitaker; brother Robert Ray Whitaker; and son Michael Kevin Whitaker. He is survived by his wife of 51 years, Janice Hammers Whitaker; mother Edna Whitaker; children Maria (Jeff) Bailey, David (Linda) Whitaker, and James Whitaker; five grandchildren; and seven great-grandchildren. Funeral services will be Saturday, December 19, 2015, at 2:00PM at Tucker Funeral Home in Central City, with Rev. Ron Noffsinger officiating. Burial in Leigh's Chapel Cemetery. Visitation will be Friday after 5:30PM at the funeral home. Online condolences may be made at www.tuckerfuneralhomes.com. Bless you George - LOVE YOU. I have thought of George often over the years, especially when I see his counterpart (Carl who worked opposite of George) at Church. It brings back memories of me being a very young, green nurse working OB at MCH and how George would always stop as he made rounds and ask if we were okay and needed anything. I would be nervous the occasional times I was on the floor by myself and he always reminded me he was just a phone call away. He was kind, courteous, and always a gentleman making a nervous young nurse feel a little safer.